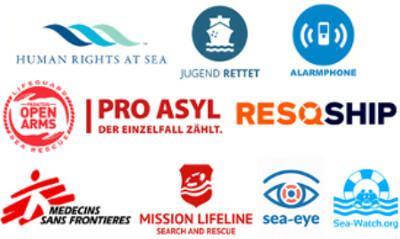 Today, Sea-Watch, together with other NGOs, including Doctors Without Borders and Pro Asyl, published an open letter to the United Nations High Commissioner for Refugees, Filippo Grandi: "Within the last few weeks, UNHCR repeatedly stressed its willingness to act as an executive body for European migration policies, leaving open questions regarding human rights issues aside. We have perceived UNHCR's current position with concern." The open letter refers to the meeting of the European Commission, UNHCR and IOM on the topic of regional disembarkation platforms, which takes place today. At the same time, 40 potential refugees who have been on board the Tunisian merchant vessel SAROST 5 for two weeks are most probably about to be disembarked in Tunisia - in a country which does not even have a legal framwork for asylum. UNHCR concept note for regional disembarkation platforms is another step towards shifting responsibility to North African states instead of underlining the humanitarian and legal responsibilities of Europe. This is unacceptable.&rdquo; says Sophie Scheytt, head of the German advocacy unit of Sea-Watch. "UNHCR is a key actor for refugee protection and should critically remind European states of their responsibility towards refugees. We urge UNHCR to take a clear stand for the protection of refugees instead of becoming the facilitator for Europe's deadly externalization of borders."